How can I tell if my pet is having a cardiovascular emergency? How do you treat cardiovascular disease? 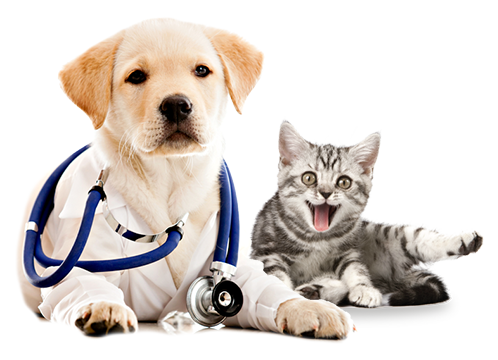 The specialist will perform a comprehensive examination of your animal. This could include an MRI, blood testing, etc if needed. Reviewing your pet’s medical history will also help them diagnose the problem. Treatment will depend on the particular problem that your pet has. Sometimes, heart problems are idiopathic, meaning there is no identifiable cause. In that case, the best way to help your dog or cat may be managing the symptoms with therapy or medicine rather than undergoing a surgery. Is there a way to prevent cardiovascular disease? Some cardiac diseases are congenital or genetic, meaning they were present at birth or passed on from the parents. In this case, it can be difficult to stop the condition from manifesting, but there are still ways to reduce the risk. Helping your pets lead a healthy lifestyle with nutritious food, exercise, shelter, and veterinary care is the best way to prevent cardiovascular disease. Seeing the veterinarian once a year can also help identify any problems early on and treat them before they progress into something more serious. At Bright Care Animal Emergency, you can receive a consultation with our cardiac specialist and treatment from our emergency team. Our animal hospital in Mission Viejo is also open 24/7, so feel free to walk if your pet is having an emergency. We’re here to help! The heart is an essential organ to survival because it pumps blood through the circulatory system, replenishing nutrients in the body and removing toxins on the way. Serious problems can result when the heart is not functioning correctly. Like humans, pets can experience heart disease, which is why our emergency veterinary team provides cardiac care for patients here at Bright Care Animal Emergency. Veterinary cardiology is the study of illnesses affecting the heart and cardiovascular system for animals. A veterinary cardiologist must complete extensive specialized residency training for 3 – 5 years with the American College of Veterinary Internal Medicine on top of their regular veterinary schooling, licensure, and internship to become board certified. Because the function of the heart and lungs are connected, veterinary cardiologists are well versed in matters of the pulmonary system as well. It’s common for local Orange County veterinarians to refer their patients to a veterinary cardiologist for issues that are are out of their scope. Cardiology specialists have specific tools and resources necessary to ensure that the treatment, surgery, or management of their patients’ condition has the best results possible. What are common cardiovascular problems? Some heart conditions can be harmless while others are life threatening. Your regular veterinarian should be able to diagnose whether it’s necessary for you to take your dog or cat to see a specialist.